Before 1757 the East India Company had no right to its own mint. Therefore to obtain current coin it had to send its silver and gold to the Murshidabad Mint and pay the standard duties and charges. This was not a favourable arrangement for the Company as these often caused delays in obtaining needed coin, and more importantly, the situation allowed the Seths at Murshibad to take business advantages over the Company’s deal with Murshidabad mint. Robert Clive after recapturing Calcutta and overpowering Nawab of Bengal made the stipulations in the subsequent treaty between the East India Company and the Nawab that the Company to have its own mint where gold and silver coins struck on the standard of the Murshidabad mint could be made. The first East India Company’s mint was located in a building next to the Black Hole in the old fort – where the General Post Office stands today. The above photograph of Holwell Monument shows a rare view of an unidentified building standing near about the indicated spot at the opposite side of the then Writers’ Buildings. (No details of the photograph. Source: Recoolections of Calcutta … by Montegue Massey, 1919) The Calcutta mint made changes to the mint’s name struck on its coins. Its first issues, from April 1757, bore the mint name A’linagar Kalkatta; then from July simply Kalkutta. However, once the East India Company were appointed Diwan of Bengal in 1765 their mint at Calcutta began to use the name of the capital, Murshidabad, making its coins identical in every way to those from Murshidabad itself. Confusion in identifying the mint for a particular coin remains until 1777 when the mint at Murshidabad was closed and for a time the Calcutta mint was the only mint in operation. In March 1824 the third Calcutta Mint, better known today as Old Silver Mint, was founded, ready with over 300 tons of equipment freshly arrived from England in October 1823. The mint was to be built on a piece of water-logged land owned by the East India Company near a quay on the Hooghly. The new silver rupee that was being struck at the new mint in 1830 to go into circulation in January 1831.. 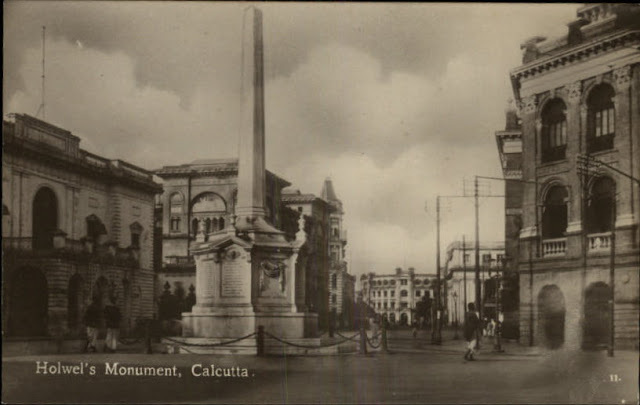 The imposing frontage of the building of the third Mint was based on a design o f Parthenon, the Greek Temple, stood on the Strand Road just beyond the highest spot of ground in Calcutta, the point where Cotton Street meets Clive Street. 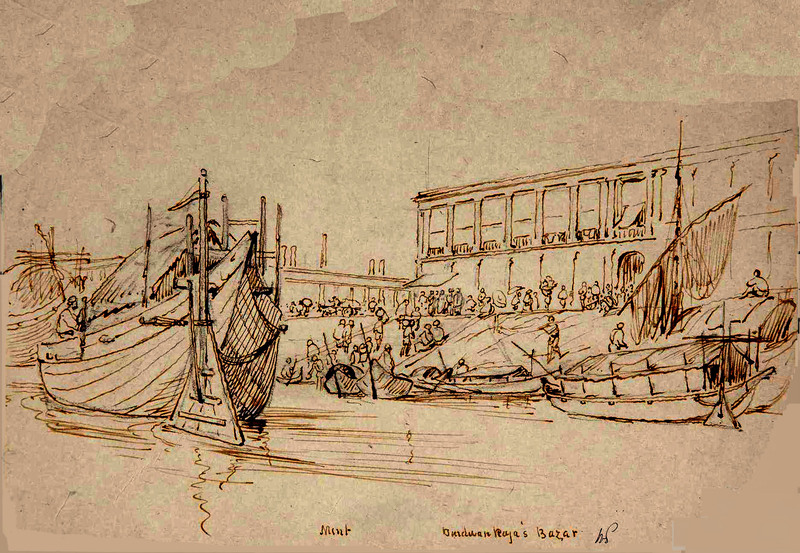 It is revealed from the William Prinsep’s scribbles on the pen & pencil image he drawn in c.1832, that the mint location was actually Burdwan Raja’s Bazar as the place was then called. The mint was opened for production from 1 August 1829. 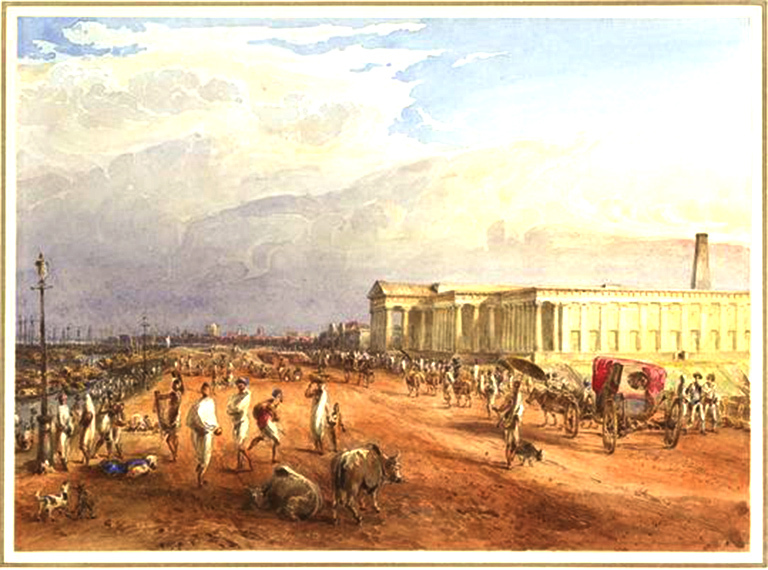 In 1860 a new set of mint buildings was begun in the north of the Calcutta Mint grounds. It was known as the Copper Mint and began operation in April 1865. However demand for copper coin was not sufficient at that time to require a separate minting facility so it was moth-balled from 1866 until 1878. From 1889 until 1923 the Calcutta Copper Mint provided all copper and bronze coins for India. The coinage production capacity then was varying between 3,00,000 to 6,00,000 pieces per day. The silver and copper mints both used to function and produce coins of bronze, silver and gold. 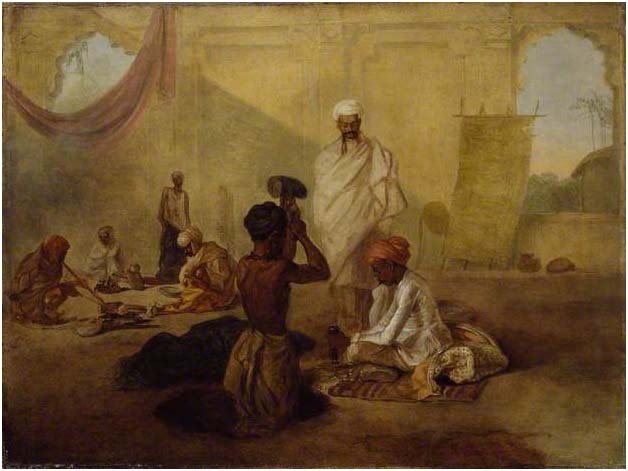 The oil on panel painting by Arthur William Devis dated c.1792 describes assayer at work in the Calcutta Mint. Courtesy: The Ashmolean Museum of Art and Archaeology. Between 1916 and 1918 on account of World War I, the Calcutta mint was employed producing bronze penny and ½ penny coins for Australia; prior to that these denominations had been struck in Britain. At the end of the war the master tools from Calcutta were sent to the Melbourne Branch of the Royal Mint where they were used to produce the first bronze coin struck in Australia in 1919. Apart from minting of coins another important function of the Kolkata Mint was the manufacturing of medals and decorations during the British regime. The production of medals continues to this day. After the Government of India Mint at Alipore was opened on 19 March 1952, the building of the Old Silver Mint fell into disrepair and neglect. There are currently plans to restore the building and open it as a museum. Find more historical data and illustrations of Murshidabad and Calcutta coinage here.